PushLoc has been redesigned while maintaining superior remote ergonomics, integration and functionality. 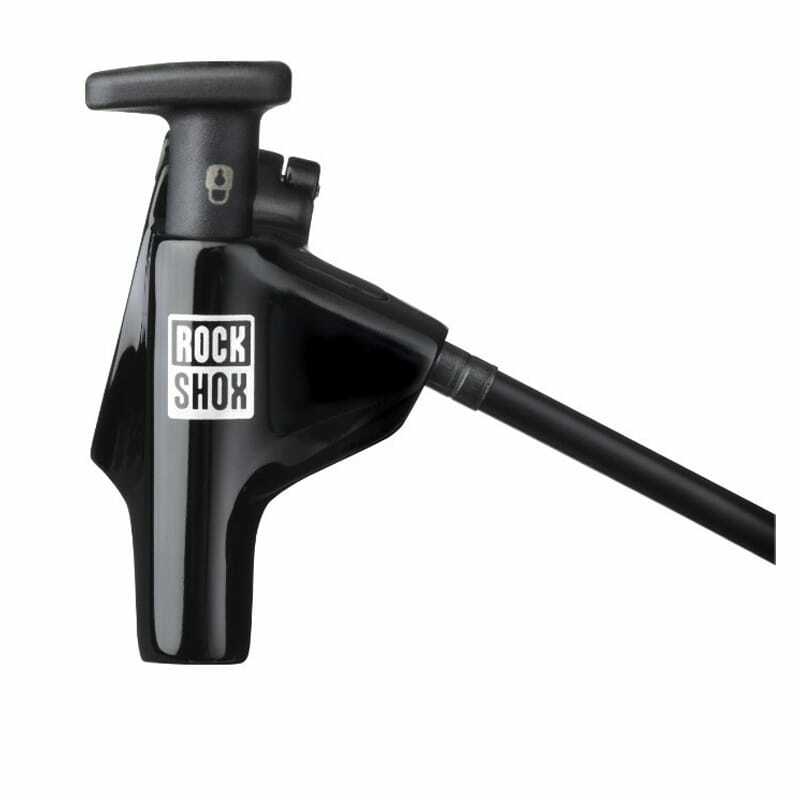 The new PushLoc cable actuated remote is available in a left or right mount and features an easy to operate “push-push” button that mimics the best-in-class RockShox XLoc hydraulic remote. The MatchMaker X clamp option ensures seamless integra- tion with SRAM shift levers and AVID brakes streamlining the cockpit. A minimal 10mm of cable pull activates the lockout requiring less thumb movement giving you more authority of the trail to focus on the ride itself. The PushLoc offers uber-smooth and precise push-push remote-actuated lockout control with a narrow footprint and vertical or horizontal mounts to save valuable handlebar real estate. PushLoc is compatible with MatchMaker for the ultimate in space-saving integration.